After much wait from millions of iPhone & iPad users, at Apple’s largest keynote for 2017, it was officially announced that iOS 11 will arrive to all eligible devices (iPhone 5s and newer, iPad mini 2 and newer, iPod 6th-gen.) on September 19. Well its finally here, below we have listed the most anticipated features. We strongly suggest that you apply this new update. If you have any difficulties, be sure to leave a comment and our tech team will try and assist. Unfortunately Apple has today confirmed one of the biggest has been removed from the launch. In a blog post Apple notes its new person-to-person money transfer system for iPhone and iPad, called ‘Apple Pay Cash’, will no longer be part of the iOS 11 release. Apple Cash Pay was part of iOS 11 betas until Apple pulled it from later releases, which implied all was not well. Instead Apple now lists the service as “coming this fall”. iOS 11 includes a new version of AirPlay called AirPlay 2. AirPlay 2 allows users to control audio systems and speakers throughout the home. Plus you can have music start instantly on all your speakers in sync with each other at the same time, which will surely impress your guests. iOS 11 includes the ability to customize the controls of the wireless AirPods earphones. This can be set up by going to Settings > Bluetooth > AirPods > Tap on Left or Right under Double-Tap On AirPod. From there, you can set up what function that double tapping on the left or right AirPod will activate whether it is Siri, Play/Pause, Next Track, Previous Track or Off. iOS 11 is bringing a new augmented reality framework called ARKit, which enables developers to build immersive AR experiences in their apps faster than ever before. The ARKit blends digital objects and content with the environment around you as we have seen with the popular game Pokémon Go. When you buy a new iPhone or iPad, you can quickly set it up by holding the new device near another iOS device. This will automatically transfer your personal settings, preferences and iCloud Keychain passwords. Apple has redesigned the Control Center in iOS 11 and it is now customizable. This means you can make it easier to set up shortcuts for your preferred settings and apps. For example, you can add the ability to dim the lights in the dining room, control Voice Memos and add a shortcut to Low Power Mode. Plus you can use 3D Touch in the Control Center to unlock more commands. When you start driving, your iPhone will be able to sense that you are in transit and it will prevent you from being distracted with phone calls, text messages and notifications. And people that are trying to reach you will be notified that you are driving. There is a new Document Scanner feature in the Notes app that can automatically detect when a photo of a document is being added to the app. Then it automatically crops the edges and removes the tilt or glare. And you can fill in the blanks or sign it with the Apple Pencil. There is a new Drag and Drop feature for the iPad. This feature lets you easily move text, photos and files between apps. You can essentially move around anything, anywhere on the screen. Whenever you visit a friend or family member, it can be a nuisance to find out the Wi-Fi network name and the password. 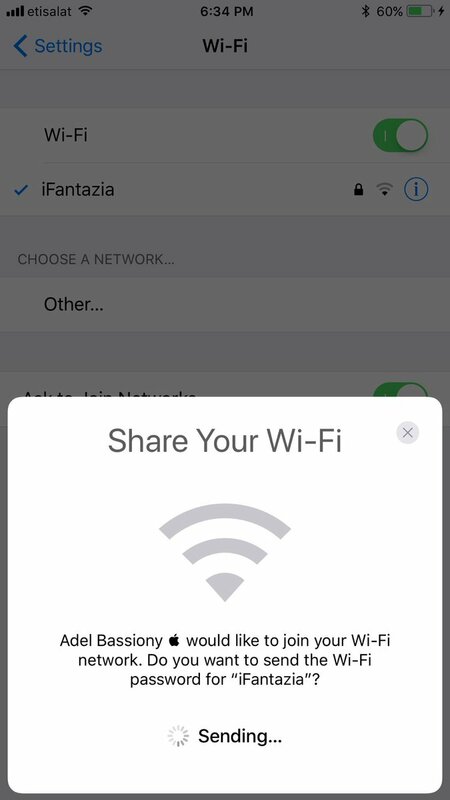 iOS 11 will be fixing this problem with a Wi-Fi sharing feature. If the guest and a user connected to the Wi-Fi are running iOS 11 and higher, then the connected user can automatically log the guest in with a simple tap. How does it work? When the guest attempts to connect to the Wi-Fi network, another device on the network will be prompted to “send the Wi-Fi password” to the guest. After the approval is submitted, the Wi-Fi password will be sent to the guest device. This is especially useful if the Wi-Fi password is a series of random characters. iOS 11 allows users to edit Live Photos. Specifically, users can trim the video loops. And users can also select the key photo or mute the Live Photos loop sound. The Maps app in iOS 11 will provide you with indoor maps. This feature will show you detailed maps of hundreds of shopping centers and major airports around the world. This makes it easier to see which restaurants are past security at the airport and which stores are on each level of the mall. Now when you jot something or draw something in Notes, the text around it can be moved aside to make room. And these inline drawings can be added to emails within the Mail app. Plus you can search for handwritten words in the Notes app (English and Chinese only). iOS 11 brings Instant Markup to the iPad Pro with the Apple Pencil. For example, you can use the Apple Pencil to mark up PDFs and screenshots with drawings and text. When you tap your Apple Pencil on the Lock Screen, the Notes app will immediately open. This makes it much more efficient to instantly get organized and retain your ideas. Running out of storage space on the iPhone can be a frustrating experience. Fortunately, iOS 11 can automatically detect which apps you do not use often in order to help you save space. This feature is called “Offload Unused Apps.” And it will retain the documents and data of those apps in the device so those apps fully restore if you re-download them. The deleted apps will be grayed out in the iPhone Storage screen and it can be reinstalled with a simple tap. Usually, one of the culprits of storage consumption is photos and videos sent through Messages. The iPhone Storage feature allows you to review large attachments in Messages and automatically save messages and attachments in iCloud. And there is an option to automatically delete conversations that are more than a year old. The Maps app in iOS 11 has been improved to help you avoid missing a turn or exit by showing you the lane that you should be in while driving. Plus the Maps app will also show you the speed limit of the road you are driving on. iOS 11 improves the Lock Screen in a way that brings all of your notifications in one place. You can see all of your notifications in one place by pulling it down like a cover sheet from the top of the screen. This allows you to see all your most recent and missed notifications in one place. When you swipe down on the screen to access notifications, it will show the Lock Screen. And the Today view will appear with a side swipe similar to the way it works on iOS 10. Apple is making Live Photos more creative and expressive than before. The most notable changes are that you can adjust Live Photos in three different ways: Loop, Bounce and Long Exposure. The Loop feature allows you to turn Live Photos into fun video loops. And the Bounce feature allows you to make your Live Photo bounce back and forth. Plus the Long Exposure feature allows you to capture time and movement elements as reflected by streak and blur effects. Apple has made a subtle improvement to the Memories videos that are automatically generated in the Photos app. In iOS 11, the Memories videos will be automatically optimized while watching it in portrait or landscape mode. The Messages app will have better syncing across multiple iOS devices in iOS 11. This means if you delete a message on the Messages app on your iPhone, then it will also delete on the iPad and the Mac and vice-versa. This feature is supported with end-to-end encryption. Its a pity that iOS 11 is only for iPhone 5s and newer, iPad mini 2 and newer, iPod 6th-gen. This is the end of the road for the much loved candy bar iPhone 4s.